V-Neck Waffle Sweater Just $18.99! Down From $40! Shipped! You are here: Home / Great Deals / V-Neck Waffle Sweater Just $18.99! Down From $40! Shipped! Until February 6 only! 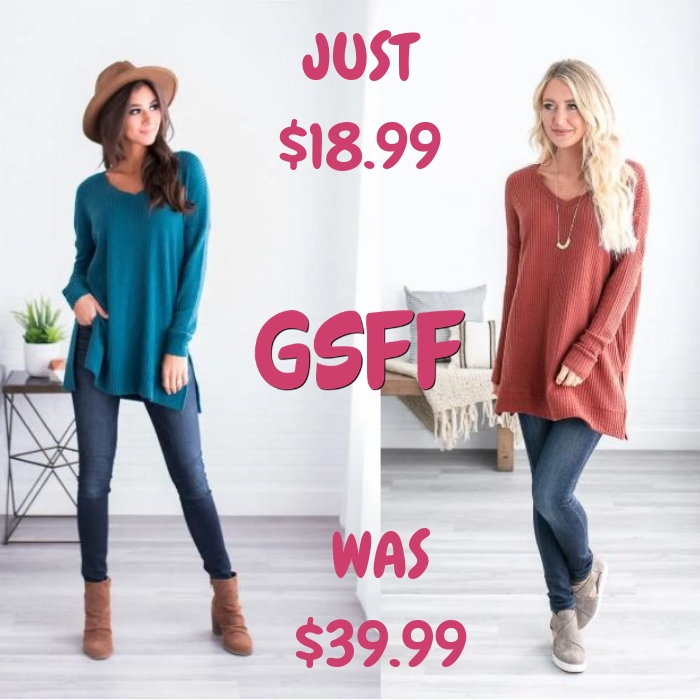 Head over to Jane to score this V-Neck Waffle Sweater for just $18.99 down from $39.99 PLUS FREE shipping! This new Brynlee V-Neck Waffle Button Sweater is absolute perfection! From the semi-loose button-down fit, to the long sleeves, to the variety of color choices, to the unique waffled texture how can you resist?! Rock it with your favorite pair of destructed skinnies or leggings for an easy and trendy look!